LG's patent complaints are believed to be retaliatory strike in what is turning into a rather bitter rivalry between the two electronics giants. South Korean electronics firm LG has filed a number of complaints with the US International Trade Commission, claiming that Sony is infringing on several of its Blu-Ray patents with the PS3. LG is seeking to block sales of the console in the US, as well obtain financial compensation from Sony. 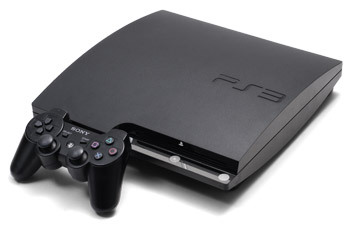 LG alleges that Sony has infringed on four patents with the PS3, including methods for dealing with multiple data streams, and a system of reproducing data stored on a read-only device. The ITC can't award LG any money, but it can bar products from sale in the US in the event that a manufacturer is found to be infringing on another company's patent. LG says that it sells products in the US that demonstrate at least one commercial application of each of the patents, citing the BD300 Blu-ray Disc player as an example. LG has also filed a number of civil suits against Sony in order to get the damages it's after. Author and activist Florian Mueller believes that this is retaliation for a complaint that Sony filed earlier in the year against LG, which said that the South Korean company was infringing on a number of Sony's patents with its smart phones. It's also not dissimilar to an ongoing case involving Motorola and Microsoft, with the former trying to block sales of the Xbox 360. It seems incredibly unlikely that LG will get the permanent injunction it's after. That's not because LG doesn't have a legitimate case - it very well may be entirely in the right - but because Sony isn't going to let one of its most successful consumer products get yanked from shelves. In the event that the ITC finds in favor of LG, Sony would almost certainly strike some kind of deal with its rival and go on selling the PS3.